Work has started on an exciting new project which will allow visitors to trace the steps of historic royals in the Heartlands of the Kingdom of Fife. The project, ‘In the Footsteps of Kings and Queens’ will see a new Augmented Reality app which will bring the area’s rich royal history to life allowing visitors of all ages to interact with characters and take part in activities at each location. The Heartlands area of Fife extends from Glenrothes and Markinch to Aberdour, Burntisland, Kinghorn and along the coast to Kirkcaldy & Dysart. 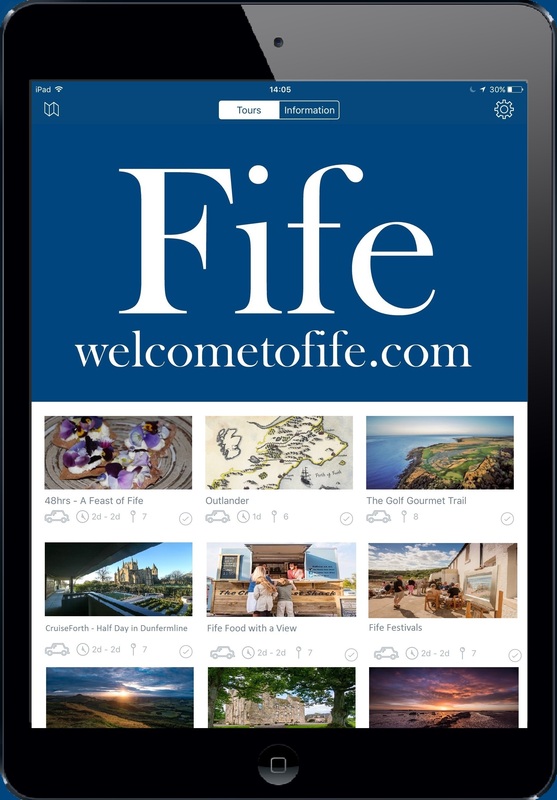 The app will guide visitors along the royal footsteps and connect them with places of interest, such as Ravenscraig Castle, Lochore Castle, Aberdour Castle and Markinch Church. Visitors will be able to learn more about royal connections in a series of ‘footsteps’ which will provide Augmented Reality content on a phone or tablet. Travel between the footsteps can be by walking, cycling, car or as part of a guided tour. The digital magic is being delivered by AliveLab, creators of the Mardles brand of children's products that come to life. James Murden of AliveLab said "We love to see the looks on little ones' faces when something magically appears on their device and this is a really exciting opportunity to work with such a forward thinking tourism team, we think that families will have a lot of fun bringing history to life with this engaging free app"
The project has received £90,000 funding as part of a grant from Scottish Enterprise to enhance visitor experiences across the region.